My phone battery is draining of within no time. Its not even lasting up to 15 hours in a Moderate use. Battery is bleeding put while using 3G and GPRS. Any body having this problem ? kirann, 04 Aug 2010Does it have accelerometer.... and does it work fine....no it doesn't have accelerometer. Anonymous, 02 Aug 2010got the CHAMP yesterday @ Php4,850 here in Philippines, I am VERY satisfied with this mobile, ... morethanks Anonymous! 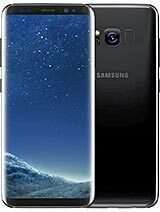 where did you buy your Samsung CHAMP here in the Philippines? you had a great deal at only Php 4,850. =) is it true that it has a threaded sms view? how about the accelerometer? thanks in advance! Anonymous, 02 Aug 2010got the CHAMP yesterday @ Php4,850 here in Philippines, I am VERY satisfied with this mobile, ... moreI agree there is no ACCELEROMETER in it, it says under specifications, but it doesn't. It only plays 176 X 144 videos, you can't exceed than 176 X 144, if you do, it won't play and give you an error "UNSUPPORTED FILE FORMAT"
In Kolkata I have found one model with VGA Cam. Is the 1.3MP version available in India? There is a confusion because online stores are selling it presumably with a 1.3MP cam. How many sms it can hold? Can it stream YouTube videos with a GPRS/Edge connection?? Pls help !! Hi Guys,plz plz plz anyone tell me if I can use opera mini on this?thanks in advance. this model have what type of earphone, it is like SE inside ear or normal earphone, any one upload this model review to youtube. got the CHAMP yesterday @ Php4,850 here in Philippines, I am VERY satisfied with this mobile, but the USB connector and a Memory Card is not included in the box. VERY responsive touchscreen even though its resistive. VERY good radio with radio recording. no wifi/3g? who cares! its a 4,850 peso phone, and ITS AWESOME!! Hi every friends who r using C3300K Champ I have two question to all you using this phone. 01)does this phone support youtube? 02)How about the net browsing experience on this phone? I am agar to bye this phone so pls pls pls help me out. however in this sight it shows that it contains a camera..
Is there a mistake in this article. in india this phone comes with a vga camera only!! not a 1.3mp camera. apart from that, overall handling of touchscreen is good with bright & vibrant display. the package content are standard with a data cable & 1gb card.